My wife and I live in Vermont and we have some great courses here, but we also love to travel and play golf together and I've been lucky enough to check some great courses off my bucket list. Appreciate any suggestions for us! 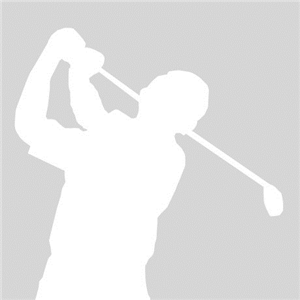 I've played Harding Park, Kiawah, No. 2 and Turner Hill. For golf only there's nothing better than No.2 in my opinion. The resort is just awesome, and with so many golf options it's just paradise for people that love the game. I can't comment on the spa, but I'm sure it's nice- everything in Pinehurst is first class. The breakfast buffet was legendary (for real) and with the updated No. 4 and cradle course, I'm already itching for a return trip. There's certainly no beach, and other than golf and the resort, there isn't much around. If you love golf (and breakfast) go here. Kiawah is probably my favorite place in the continental US. The walk is second to none, and the 19th hole is world class. While I like the layout/history of No.2 better, Kiawah is a close second. Anytime you can see the ocean from almost every hole, it's a good day. The back 9 at Kiawah is just otherworldly. I also really like the Kiawah/Charleston SC area. It's a great place to kill a lot of time. My wife isn't a golfer, but she liked Kiawah. There's a bunch of shops and good food. If you're looking for beach/golf/spa- I think this is your spot. Harding Park was awesome. I got it on a calm sunny day, and from what the local people I played with told me, that doesn't happen often. It's really close to SF which is a great city. There's not much else at Harding than the golf course- and views of Olympic Club. If you guys are city people, Harding isn't a bad pick, but it's a long way from the east coast, and has a lot less off course stuff (minus the city of SF obviously) to do than others on your list. Turner Hill is a resort style private track. 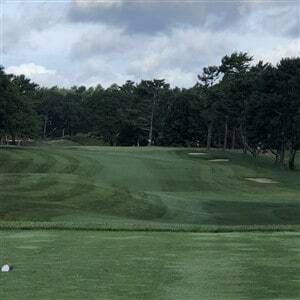 I'm not big into resort style golf, but the layout is interesting, and if you know some people or belong to a private track in VT you should be able to get on. Ipswich is a charming ocean town with lots of local shops and restaurants. Heart house and Ithaki are unreal places to eat. They also have a fabulous brewery right in downtown. Crane beach (the beach I go to on the regular) is also in Ipswich. It's a beautiful spot with calm water and nice sand. You can walk it for hours. I also know Turner Hill has a phenomenal clubhouse. I think you could get some beach/golf/spa there as well. Best of luck in your travels. You are probably going to get a ton of adds on this post. Some obvious ones that you didn't list are: Bandon Dunes (all 4 courses), American Club (Whistling Straits and Black Wolf Run) Pinehurst #4 (newly remodeled by Gil Hanse) PGA West, and Pasatiempo. Hotsauce couldn't have said it any better in regards to Pinehurst and Kiawah. I would HIGHLY recommend both those places. One thing i'll add to Pinehurst is you have to play Tobacco Road while you're down there. I think it's about a 1/2 hour away or something but trust me it's worth the drive. One of the most unique courses you will ever play and so much fun. The Inn at Palmetto Bluff in Bluffton, SC, not far (30 minutes or so) Hilton Head. 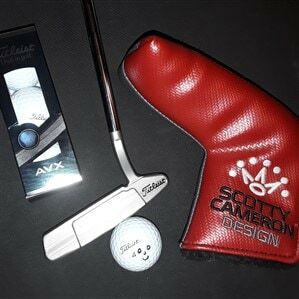 A wonderful resort with a Jack Nicklaus designed golf course (May River Golf Club) and great spa facilities. May River may be the best conditioned golf course I've ever played and my wife raves about the spa treatments. 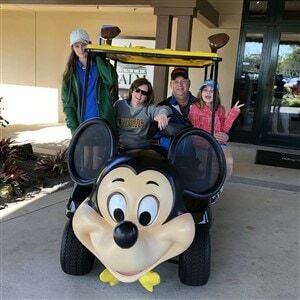 This is our "happy" place, and once I discovered it back in 2009, it has been our go-to vacation spot. I use to live in the Bay area. 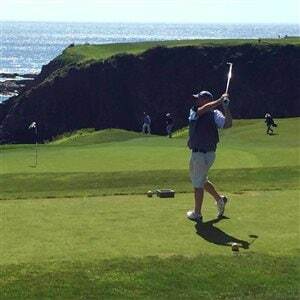 I've had the chance to play Pebble, Spyglass, Poppy Hills, Spanish Bay, Halfmoon Bay, Pasatiempo, Olympic Club, Cordevalle, TPC Harding Park and TPC Stonebrae. Aside from Olympic and Stonebrae I would recommend any of those. Bandon is a solid choice to spend a few days and play all of the courses too. You can almost throw a dart at the map of North America then ask for recommendations. The time of the year is also a factor. Cabot Cove in Nova Scotia is a great summertime location. Pinehurst in late July is not so nice. Note that Augusta National shuts down in June - for good reason. With possible exception of Sand Hills in Nebraska, almost any resort will have some additional quality courses nearby. A couple that haven't already been mentioned: Firestone CC (if you know someone with a ClubCorp membership), Dove Mountain (super wide fairways but the most undulating greens I have ever played), Sawgrass, Sea Pines (Hilton Head), Sea Island GA.
To me, the packages at Whistling Straits are the best value for your dollar. And I agree with the previous comment; did a Pinehurst trip in August many years ago and it was just brutal. 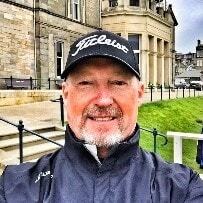 As far as bucket list I would have to say number 1 would be St Andrews. 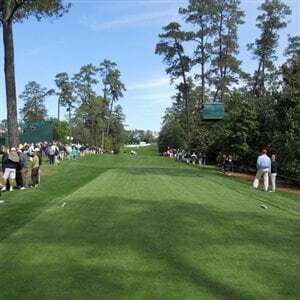 Augusta National is a dream that I think may be past what I can accomplish but that would surely top the list if it were possible. Additionally, have to say Pebble (so much history here) and maybe Medinah as well. Sawgrass was fun....so was Torey Pines. Both easy access and pleasant weather. Bethpage isnt far from you either! Torrey Pines would be my top pick. It's got 36 amazing holes and is one of the best walks in golf. The course is tough, the scenery is amazing, and the history is top notch. Lots of fun ocean towns, the Scotty gallery and San Diego are all right there. 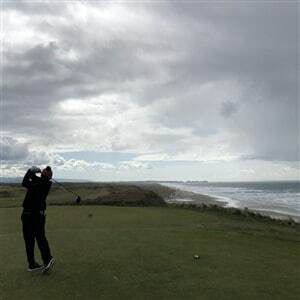 There's a couple of other memorable courses (the Grand, Maderas, Goat Hill and Coronado) and the weather is usually perfect. 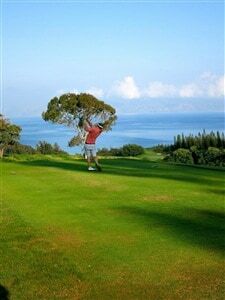 Kapalua- hey if you're gonna go for golf, beach, spa why not go big? I've been fortunate enough to play here a couple of times, and it's one of the most fun courses on the planet. A little course knowledge goes a long way at Kapalua, but the course is enjoyable, forgiving, scenic, in great shape, and a world class venue. I can't comment on the spa, but it's a Ritz Carleton hotel so I'm sure its just fine. The beaches are unmatched- it's HAWAII! Pinehurst #2 and the Ocean Course at Kiawah. Great tracks and superb amenities. 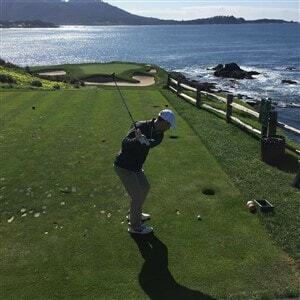 Pebble is a great experience and you'll make your friends very jealous. If you want to do Pebble and Poppy then you definitely need to add in Pasatiempo while you are in the area. It is a must. I hear Pacific Grove by Pebble is also great... and much cheaper than the others. For me the next places would be Bandon, Streamsong, or Pinehurst. In the Pinehurst area you need to check out Southern Pines and Tobacco Road too. I would check out Sands Hill in Nebraska. I’m headed to Myrtle Beach next weekend, any recommendations or hookups out there? 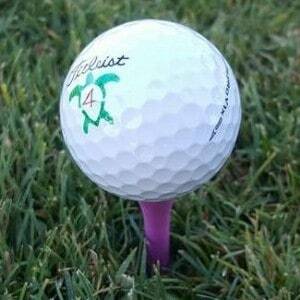 There are 4 courses in North Myrtle Beach as part of the Barefoot Resort. There's a Dye/LoveIII/Norman/Fazio course. The Dye is by far my favorite of the 4, but the Fazio course is great too !! Give Bethpage Black a go, super tough layout but fun. Especially now that the 2019 PGA Championship will be there / 2024 Ryder Cup. TPC Sawgrass is pretty straightforward...downside is really expensive green fees. Pebble is definitely a must, then go have lunch or dinner at The Bench. A hidden gem, go play Streamsong red, black or blue...awesome property. Torrey Pines is also pretty straightforward, awesome course nonetheless. Hope this helps! Would highly recommend taking a trip up to Cape Briton, Nova Scotia and play Cabot Links and Cabot Cliffs. Awesome courses and unforgettable views. A golf destination. WOW....thanks for the PICS....looks amazing!! I see you have played Pebble and Poppy. 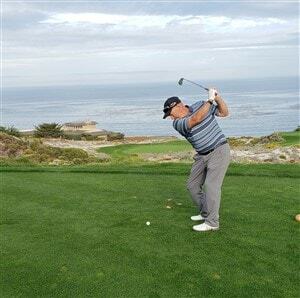 There are so many great courses in and around Monterey. Spyglass, Spanish Bay are two must play courses. Black Horse and Bayonet are fantastic tracks and very challenging. Del Monte is a very old school setup but pleasant to play. All of these courses are in close proximity and are worth trip. Where ever you go, enjoy!! I played Aviara a couple years ago - one of the most picturesque (from a landscaping / floral point of view) courses I have seen. Very High WAF (Wife Acceptance Factor).